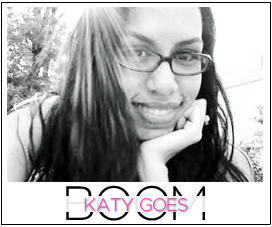 Katy Goes Boom: When am I Going to Grow Up? Something I'm doing to try to get over this wall is find something I'm undeniably passionate about. Sure I have hobbies, but nothing that touches my soul like I think I need at this point in my life. Wishing you luck, you're on the right track by realizing and communicating how you feel! Same here. I'll be 31 this year and I still don't really feel grown up! I honestly dont ever want to feel like an adult..im afraid that I will immediately stop wanting it do all of the things I love because i "think" im too old...you def still have time! I'm going to be 35 in April. I have two kids. I still don't feel like a grown up. And I think I'm ok with it. Ill be 30 this year and I'm partially dreading it. Mainly for this reason I feel like it should feel different. But it doesn't. I don't heal as fast but over all I feel the same as I did at 20. YES YES YES!!!! I'm not alone!!! I wonder this all the time!!! I feel like all "grown ups" wonder when they'll grow up, or have it together. I definitely don't! This is a daily struggle of mine... you aren't alone! the funny thing is that I think of you as totally having your act together! but i get it, because i feel like i measure myself against totally different standards than other people hold me to. like maybe someone will think i have my act together but its not in the way i WANT to have my act together. but i don't even know what that is. its frustrating, i agree. i spin my wheels so hard and so long and nothing ever seems to get any clearer. 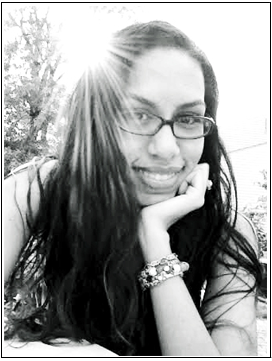 i absolutely had major misconceptions about adulthood!!! I took an age test a couple weeks ago that said my "true age" was 21 even tho I'm 26 (will be 27 in april). And you know what? I think the test was pretty on point because even tho I'm pretty responsible and mature in most cases, I still do act like I'm 21 in a lot of other moments lol. It's not necessarily a bad or good thing. It is what it is. I have to be honest.. And not that I'm so much older and wiser at 32. But, I don't know if anyone ever truly, honestly has that "I've got my act together" feeling. Maybe they put on a good show, but I guarantee, everyone has their doubts. Those grownups are not even real life, I swear. I think it is more "real" to not have your act together and not have everything be perfect! Okay, now I sound like a hot mess. But really, no one can have a perfectly polished life all of the time. We need to be a mess to make those polished moments more meaningful!